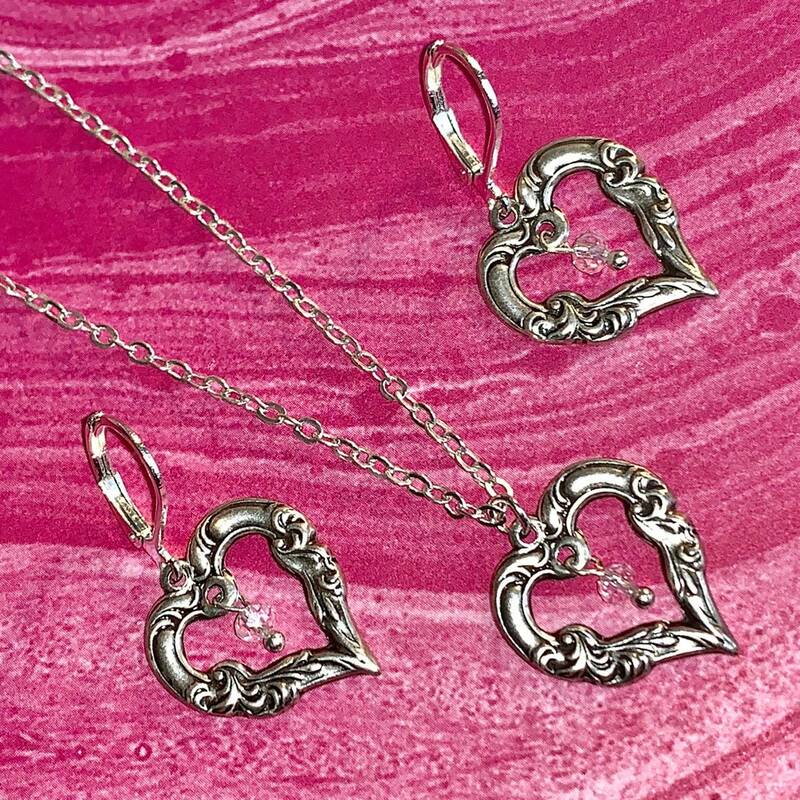 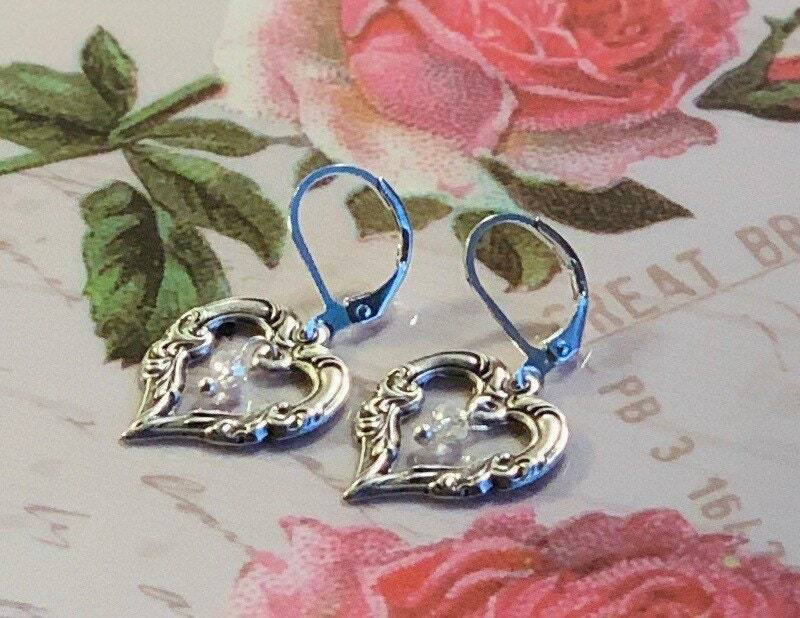 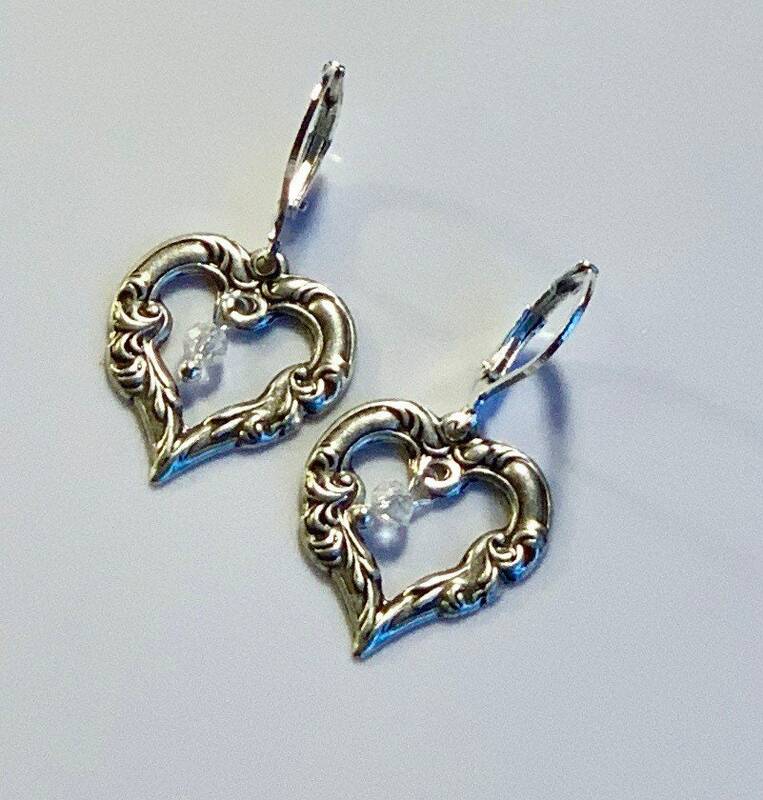 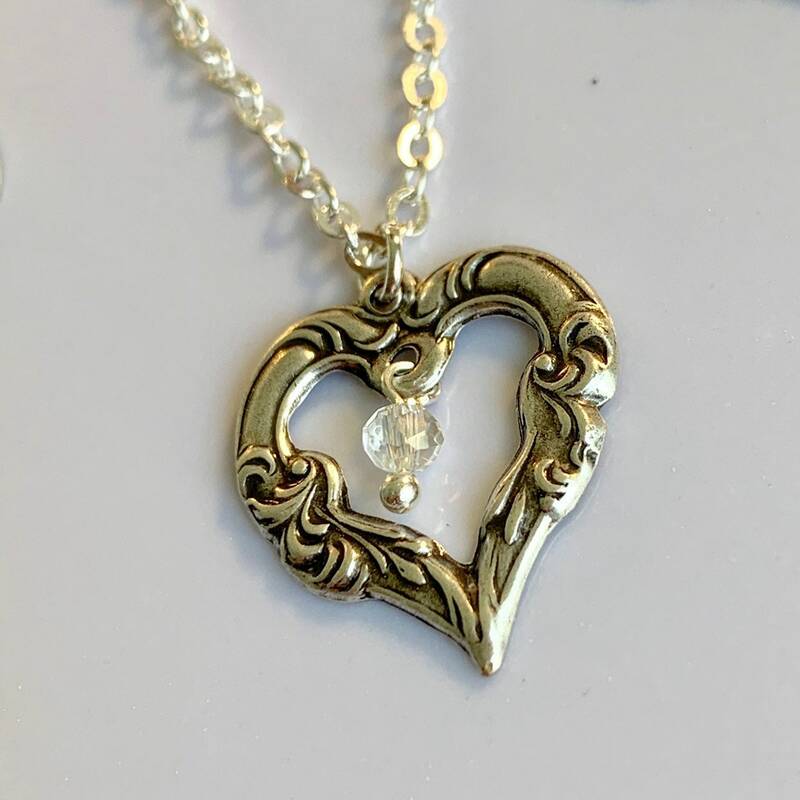 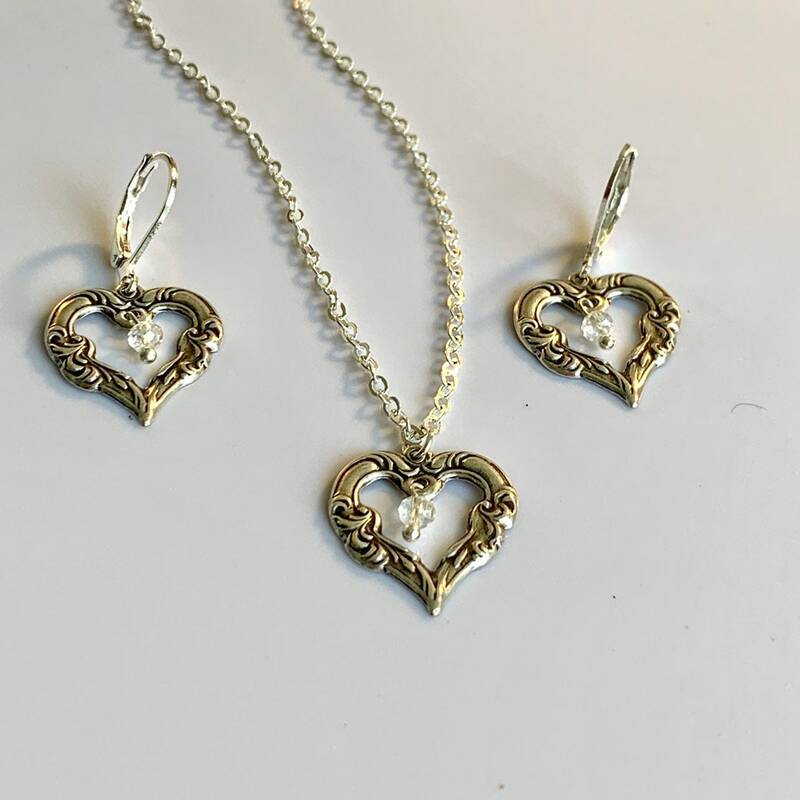 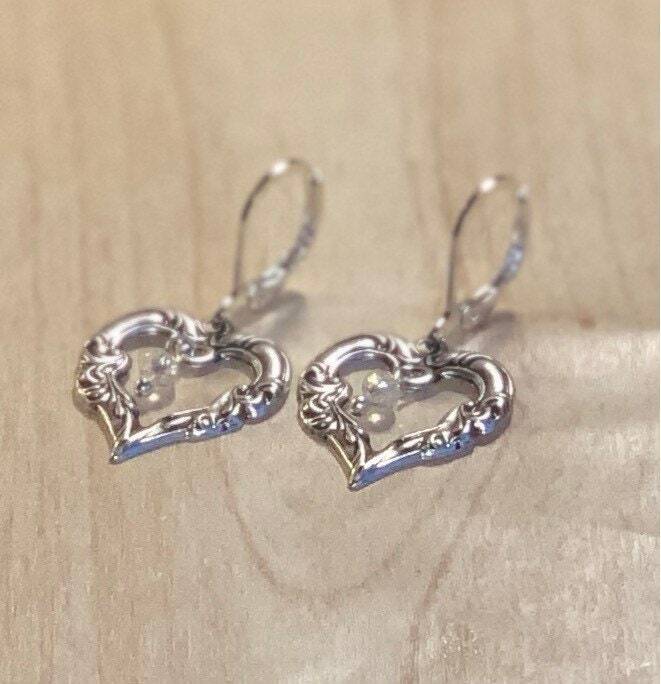 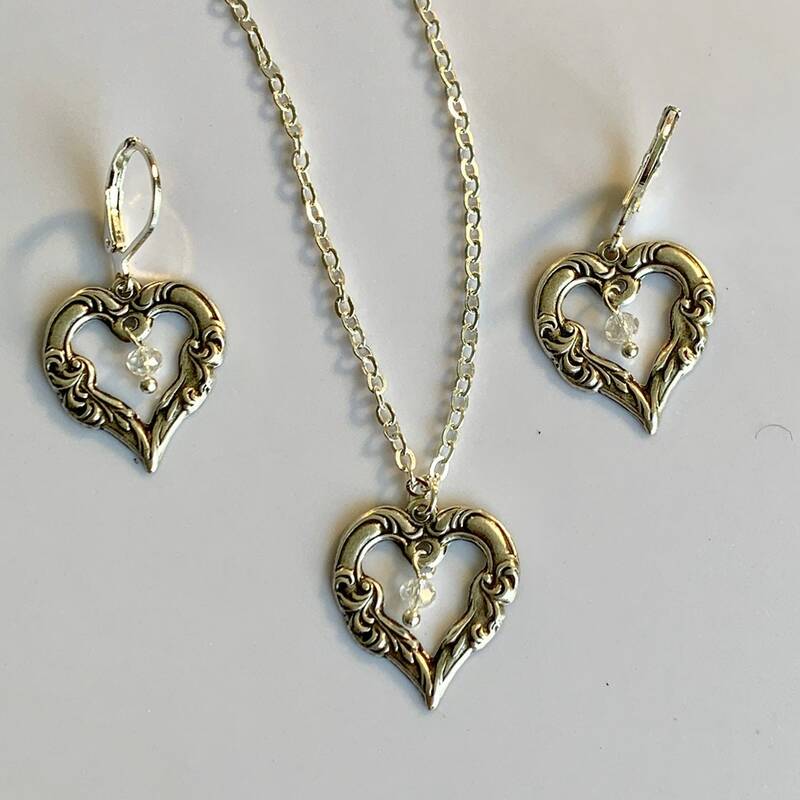 Fabulous filigree angel wings heart pendant with a dangling clear bead on a sterling silver plated 18” dainty chain with 2” extender chain and matching Angel Heart earrings with lever ear hooks. 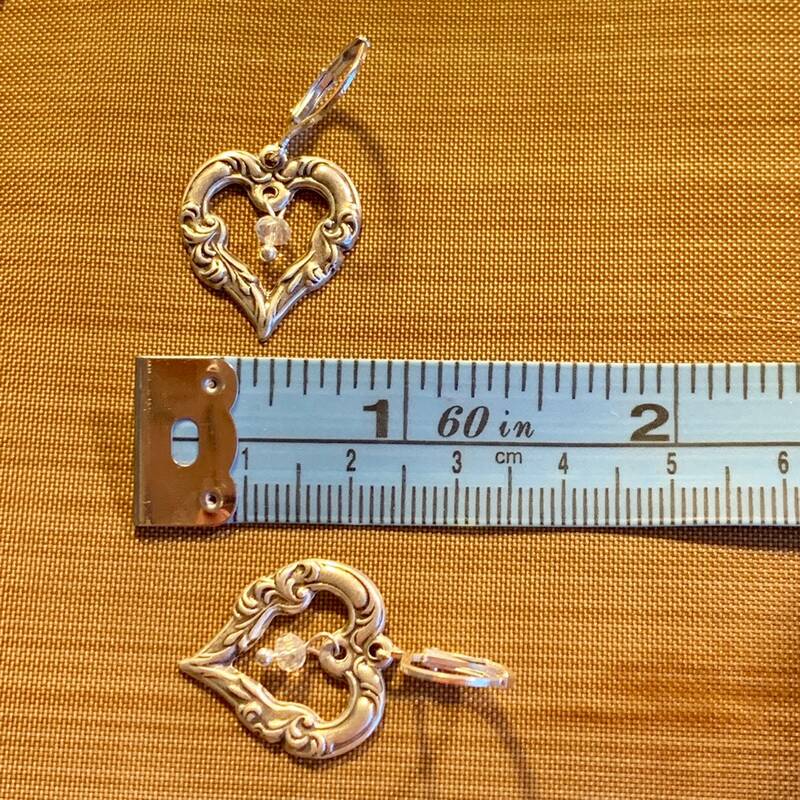 These are under 1" tall. 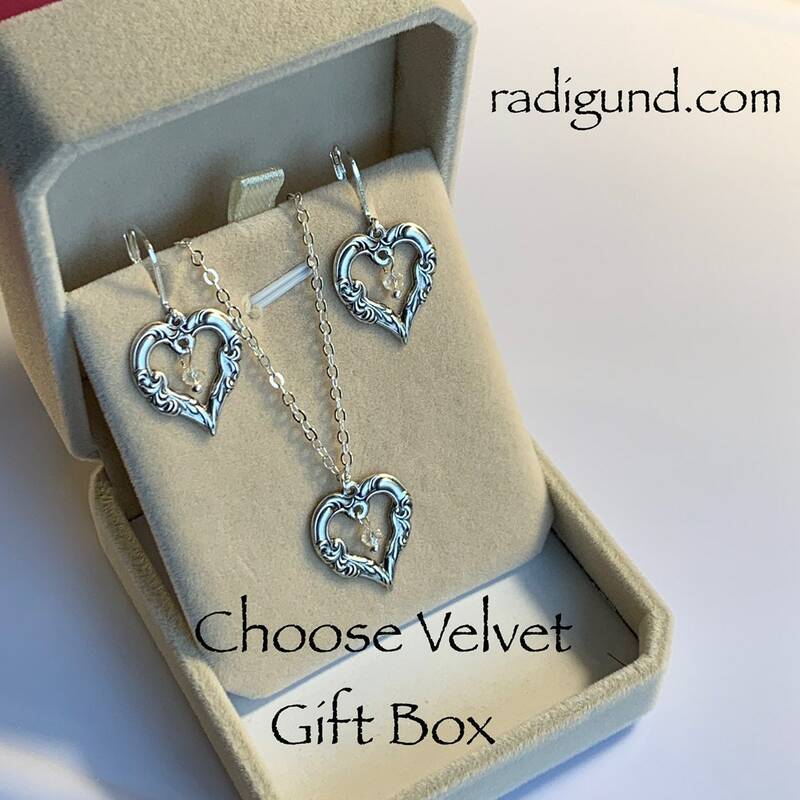 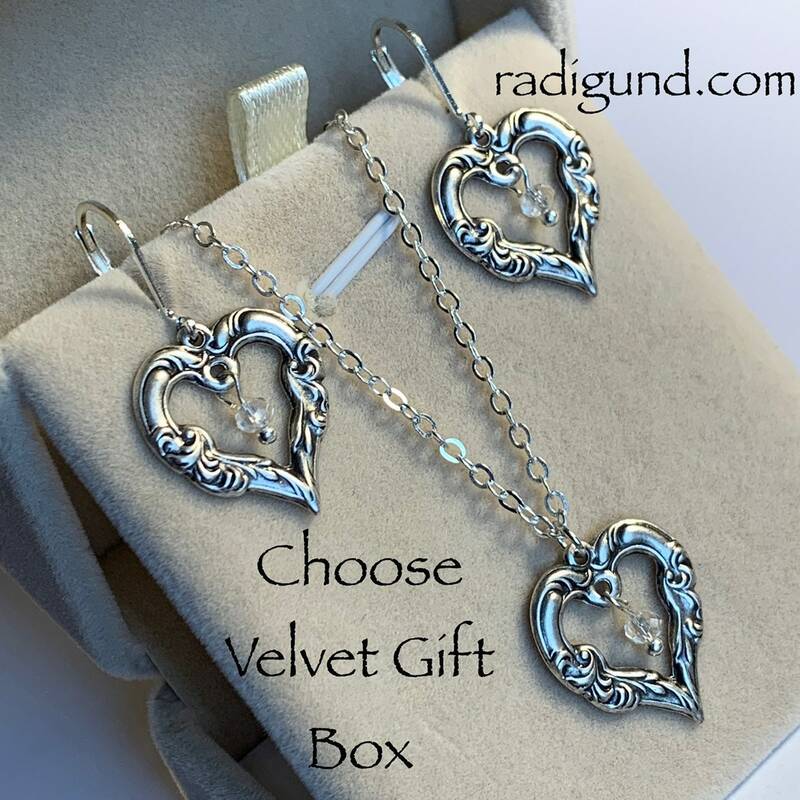 Choose WITH Velvet Box to receive this set in the beautiful upgraded velvet gift box shown.